“Georgia Deaths, 1914–1927.” Index. FamilySearch, Salt Lake City, Utah, 2007. 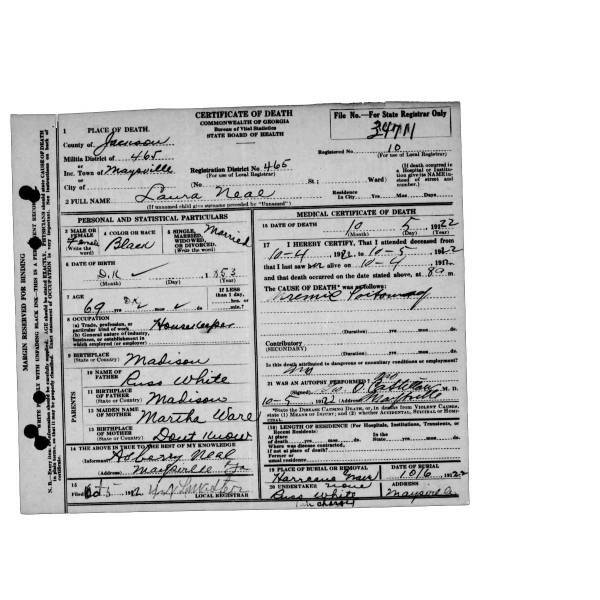 “Georgia Deaths, 1914–1927” and “Georgia Deaths, 1930,” images, FamilySearch. Georgia Department of Health and Vital Statistics, Atlanta, Georgia.